Some problems require you to design more than one query to find a solution. This topic walks you through the process of how to use an aggregate value calculated as a result from one query as criteria (a condition) for another query. By combining the information from both queries, you can find the information you are looking for. Suppose you want to find out the following: Which families pledged more than the average amount to the All Souls fund? ● The first question is What is the average amount pledged to the All Souls fund? ● The second question is Which families pledged to the All Souls fund? ● The third question is: Of the families who pledged to the All Souls fund, which pledged more than the average amount"? ● Query 1 must determine the average amount pledged to the All Souls fund. This query returns one value that you can use in the design of the second query to produce the desired information. ● Query 2 finds the names of the families who pledged to the All Souls fund. It also uses the result from Query 1 to find the records of families whose pledges exceed the average amount. This query enables you to find out average dollar amount of pledges to the All Souls fund. Click and drag each column into the Result Columns panel, making sure that you position the column on the [Add new column] link. Then, release the mouse button. 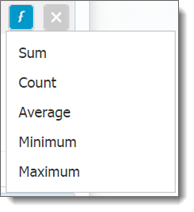 The Average function is now applied to the column. Click Execute Query to run the query. The query calculates the average value in the Pledges Total column and returns the single result. In our example, the query returns this value: $947.68. Now, that you know the value of the average amount pledged to the All Souls fund, you can use that value in Query 2 to find the records you are looking for. Note that you must type the average pledge value obtained from the Query 1 into the second condition's text field. By selecting the is greater than operator, you instruct the query to retrieve only those records having pledge amounts greater $947.68 (the average value). In the example below, the result set provides the names of 15 families whose pledges to the All Souls fund exceeded the average amount. The specific pledge amounts are also listed so you can verify that each is greater than the average amount.